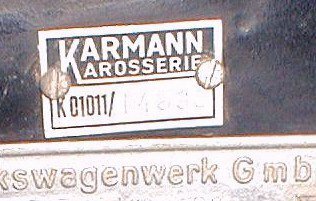 Hello and welcome to the 56-59 Karmann Ghia Registry Home Page. This is the only organization dedicated soley to the preservation of early body styled Volkswagen Karmann Ghias. 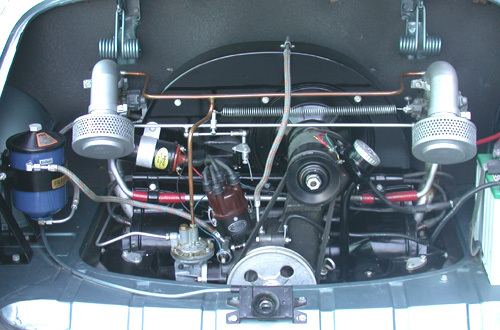 I started the registry when I purchased my 1956 Volkswagen Karmann Ghia in June of 1992. When I began the restoration I found out that there was limited information out there on these cars. I ran into several enthusiasts in my search but no one who really knew all the details of the early Ghias. This led me to start the registry so that I could document the remaining cars and provide a correct source of information to owners who were restoring their cars. I have received letters from across the US, Europe, and many other places around the globe to uncover over 300 early Ghias to date. Other than the VIN plate and tunnel number (which are the same) there are 5 other numbers that appeared on early Ghias. InI publish one registry newsletter. Each letter contains facts about early Ghias, stories from owners, and a list of all the current registered owners. 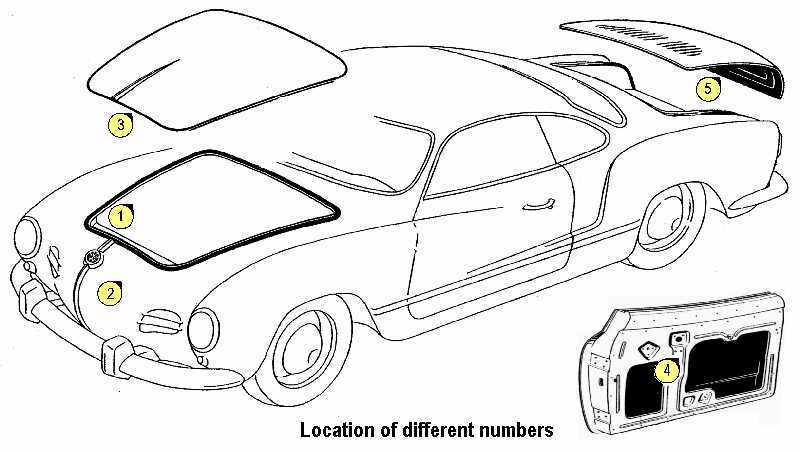 My goal is to be the best source of early Karmann Ghia knowledge and to share the information with the other members. Early Karmann Ghias are very special coach built cars and I hope that the registry can be a fun and informative way to learn more about these cars and help to preserve the marque. There is also another way to participate in the registry. If you wish only to register your car then you do not need to send any money. Obtaining VIN and production data is the life blood of any registry. In return, if you fill out a registry form and return it along with self addressed/stamped envelope, I will send you a printout of all the registered members. I will also send you an updated registry listing each year if you request one and send a self addressed/stamped envelope. 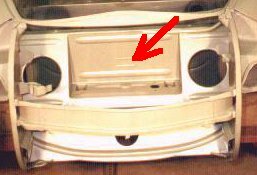 There has been some discussion about the early euro turn signal wiring for Ghias. 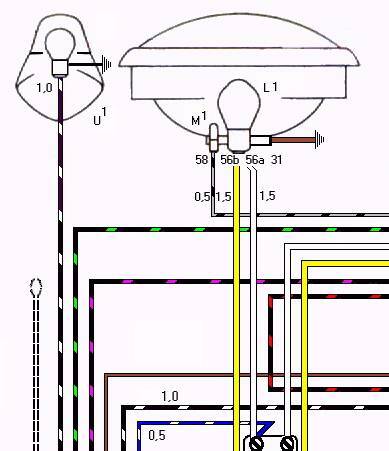 Here is a wiring picture.